Challenge Rifts give players the opportunity to try out challenges with a class and build they might not have ever used. Never played one? Read on to learn about what they are, how to play them, and the rewards you can earn! Challenge Rifts are exact copies of a Greater Rift that has been previously completed by another player. To create the weekly Challenge Rift, we pull a “snapshot” of a Greater Rift directly from a given player’s account. We recreate that player’s exact character for the Challenge Rift, including their equipment, paragon levels, and skill loadout. Want the low-down in video form? Check out our original Challenge Rift announcement. When you play through a Challenge Rift, you’re effectively going through an exact copy of the Greater Rift the player completed with that very same character. The enemies, pylons, and the level layouts you encounter will all be exactly the same. The first time you beat the original runner’s time each week, you’ll get a satchel full of rewards, including crafting materials and Blood Shards. Challenge Rifts rotate every Monday afternoon, in the following class order: Demon Hunter, Necromancer, Barbarian, Wizard, Monk, Witch Doctor, and Crusader. How Do I Play a Challenge Rift? Challenge Rifts are a separate, self-contained game mode. You can select it on the same screen where you choose to enter Story or Adventure mode. Don’t worry about picking a character before you enter a Challenge Rift—everyone has access to the same one, down to the gear, gems, and paragon points. Once you load in to the Challenge Hub, you can check out the tools at your disposal by visiting the Soul Mirror. There are a few other tools available to help you get familiar with the build you’ve been given. On the left side of the Challenge Hub, you’ll find a single, beefy, constantly-respawning Punisher who’s more than willing to take the worst punishment you can dish out—so feel free to test your single-target damage capabilities. 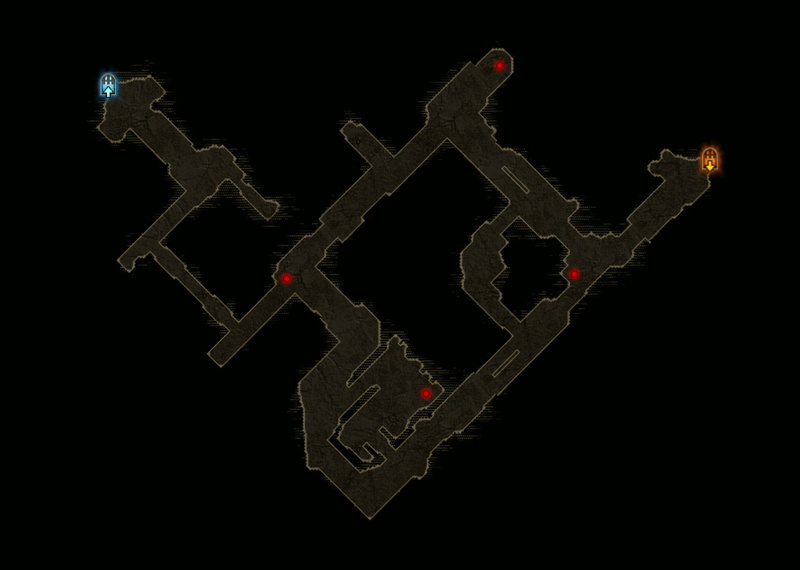 To the right, you’ll find a group of Revenant Soldiers waiting to endure your most powerful area-of-effect attacks. When you’re ready to give the Challenge Rift a shot, just click on the Challenge Obelisk in the center of the Hub to get started. Once inside the Rift, you’ll find it’s very similar to a typical Greater Rift, only this time, you’re racing the clock to beat the original runner’s completion time. Can you complete the Rift before they did? There’s only one way to find out! What Else Should I Know About Challenge Rifts? Challenge Rifts are a unique experience in Diablo III—they’re an opportunity to compete against your friends and the rest of the community in a totally static, completely level playing field. All players have the same gear and skill loadouts and paragon points, and they’re all running through identical Greater Rift layouts, right down to the monsters. Completing the Challenge Rift as fast as possible is a testament to your knowledge of the game, your skill with that class, and your ability to analyze situations and make the best of them. It may be worth taking time to mark down elite packs, pylons, or other important layout information. Still, not everyone is down for competition, and it’s totally fine if that includes you. Most Challenge Rifts are easily completable within the first few tries, and beating the original time will get you a tidy bag of crafting materials. You can earn this reward once per week, and it resets each Monday afternoon, when the newest Challenge Rift is made available. If you want to get in, get your rewards, and go back to your seasonal character, but feel that this week’s Monk build just isn’t your cup of tea, consider gathering a group of friends to tackle the Rift with you. You’ll find it’s a quick process when you divide and conquer, and it can be a lot of fun racing each other to the next juicy pack of minions. Finally, don’t be surprised if you see some strange builds and gear loadouts pop up in Challenge Rifts from time to time. Maybe the original player hastily swapped characters and was missing a Legendary Gem or two when we captured their snapshot. Or perhaps that week’s challenge is a freshly-leveled seasonal character, with the sort of hodgepodge gear loadout you’d expect. Just go with it. 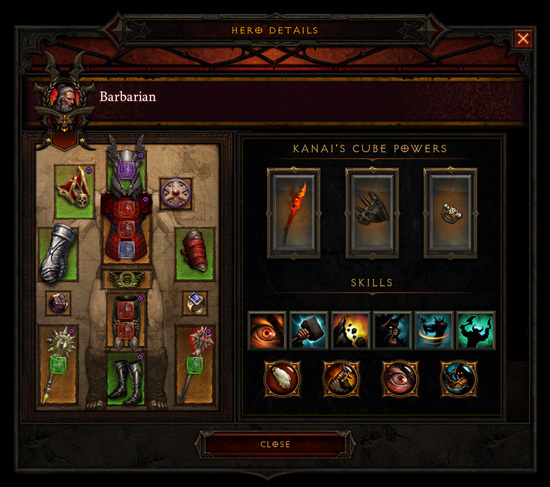 It’s okay to try something a little wacky and “off the meta.” Diablo III is, after all, a game of progression and we’ve all been there. Now, go forth and conquer those challenges!